Families can make the most of their visit by arriving early to enjoy the wide variety of attractions in Surfers Paradise and share a delicious meal at one of the precinct’s eclectic array of cafés and restaurants, before making their way to the foreshore for the show. 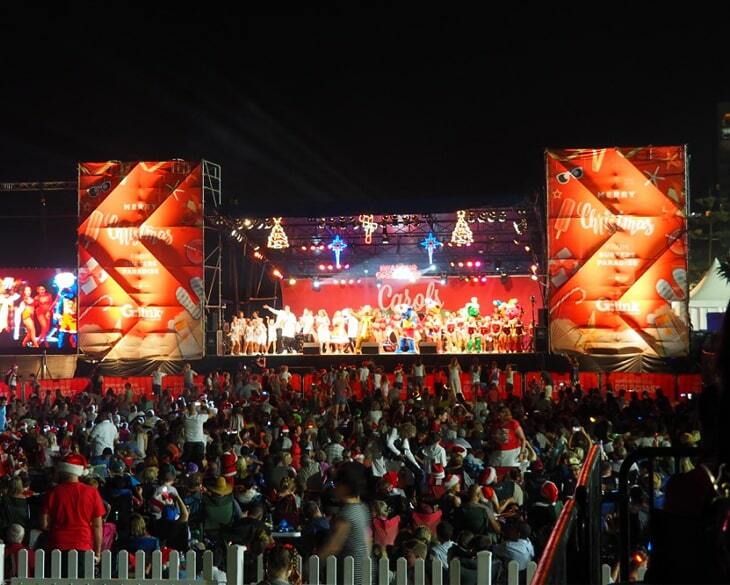 The Surfers Paradise mascots will begin the night by taking to the stage at 6pm to celebrate with a dance party, this will then be followed by an array of local talent spreading Christmas cheer! G:Link services will run as usual throughout the event, providing visitors with convenient and stress-free access to the event. 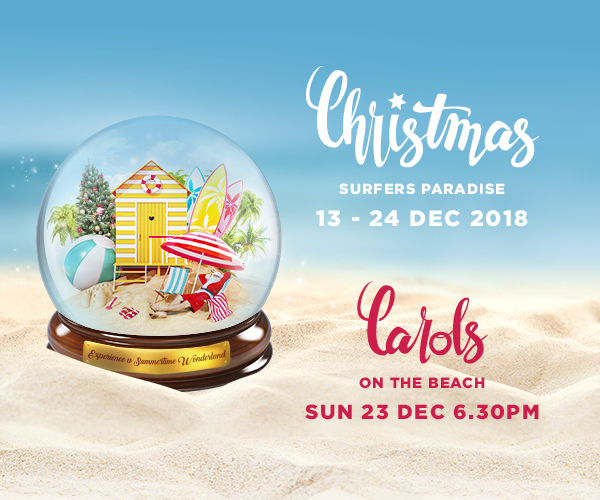 Surfers Paradise becomes a Christmas summertime wonderland from 13th – 24th December 2018. Snap a selfie with Santa in front of his beach shack in Cavill Mall. Adults won’t want to miss the 12 Days of Christmas and a chance to win one of the daily Advent calendar prizes. Christmas is a time of giving and we’re getting into the festive spirit with our 12 Days of Giving. Enter for your chance to win a part of over $15,000 in prizes that include hotel accommodation packages, Experience Oz vouchers, theme park passes and show tickets, and gift cards from Robina Town Centre.